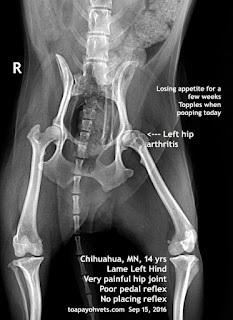 Dog can put some weight on left hind. 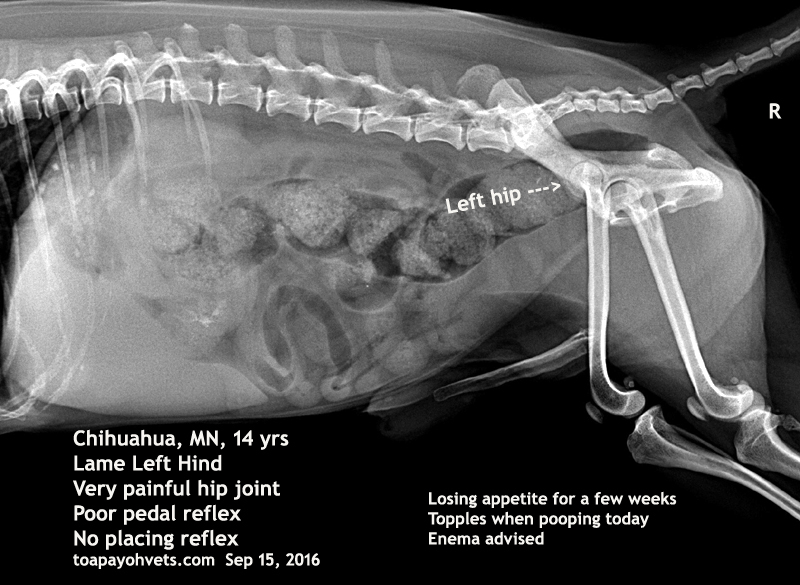 "No sensation in the left paw," the owner said. 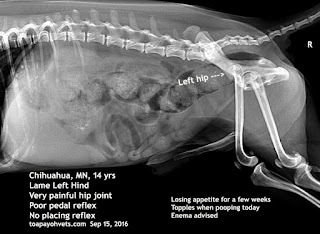 X-ray - left hip arthritis.